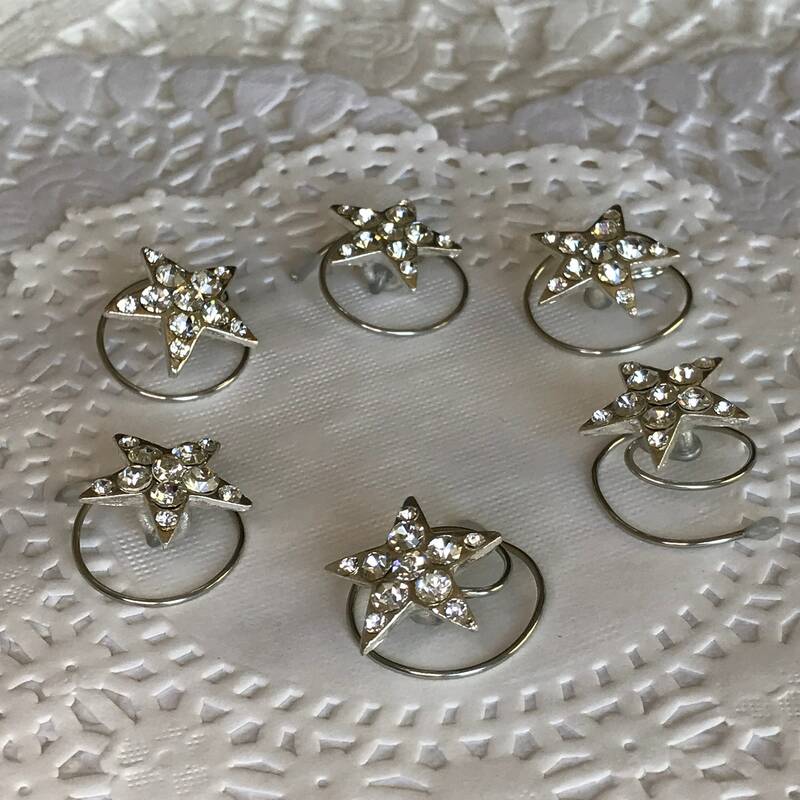 This listing is for 6 pieces of hair jewelry consisting of adorable tiny rhinestone star hair swirls. 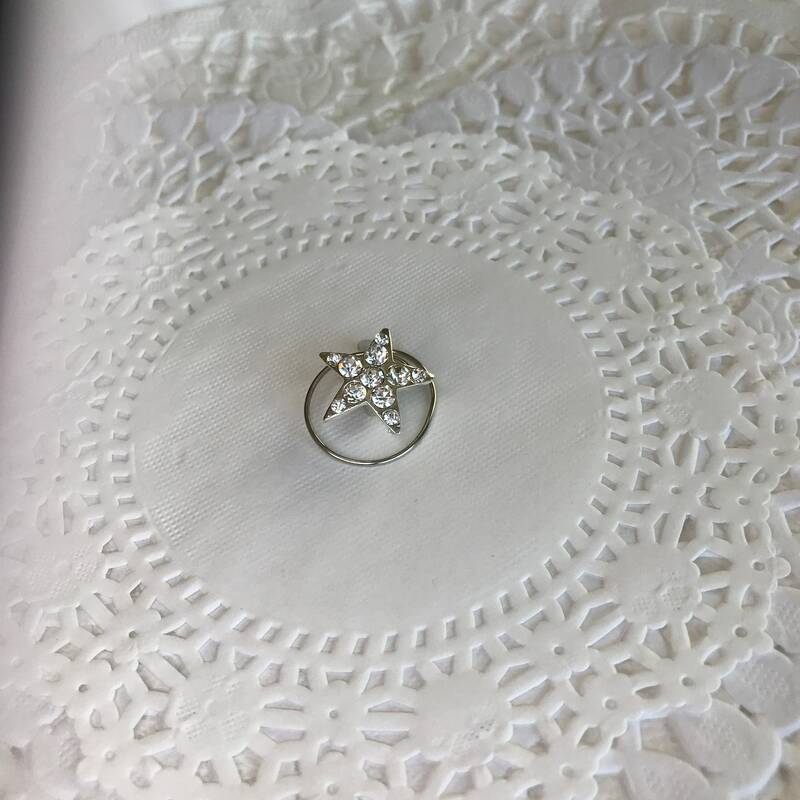 The stars are about 5/8 inch in size and mounted on a tarnish resistant silver tone wire. 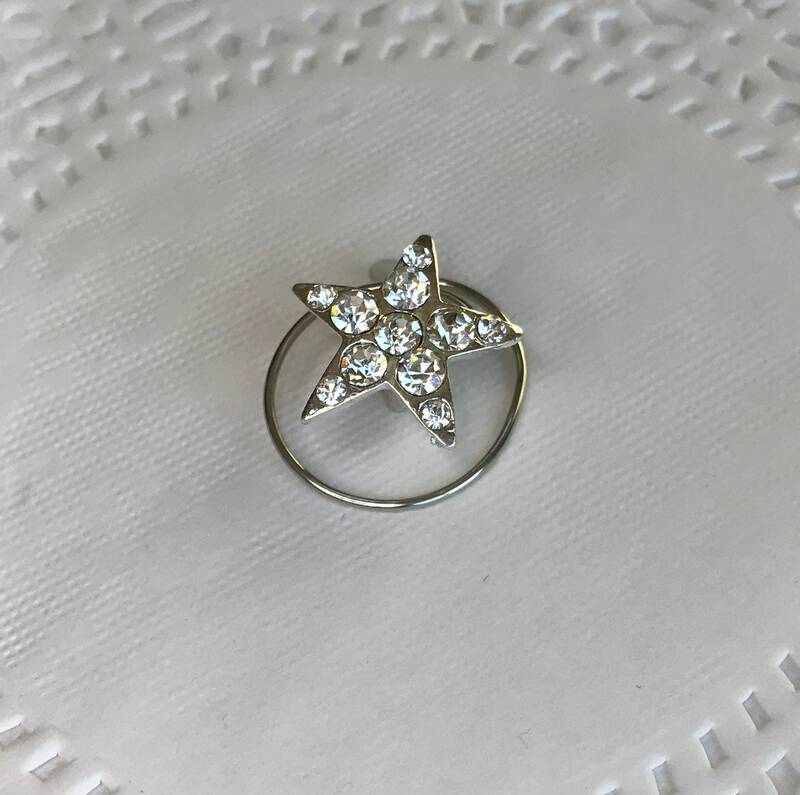 These little stars will sparkle in your hair. 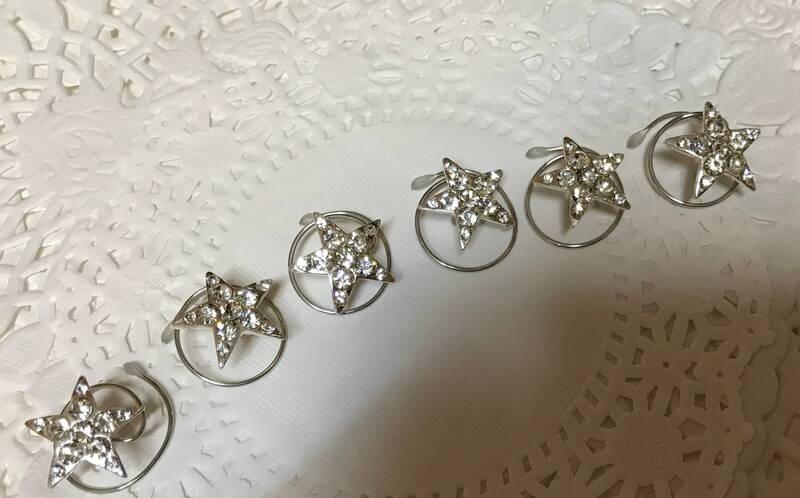 The silver tone star hair swirls will look dazzling in your hair. I guarantee it or your money back. 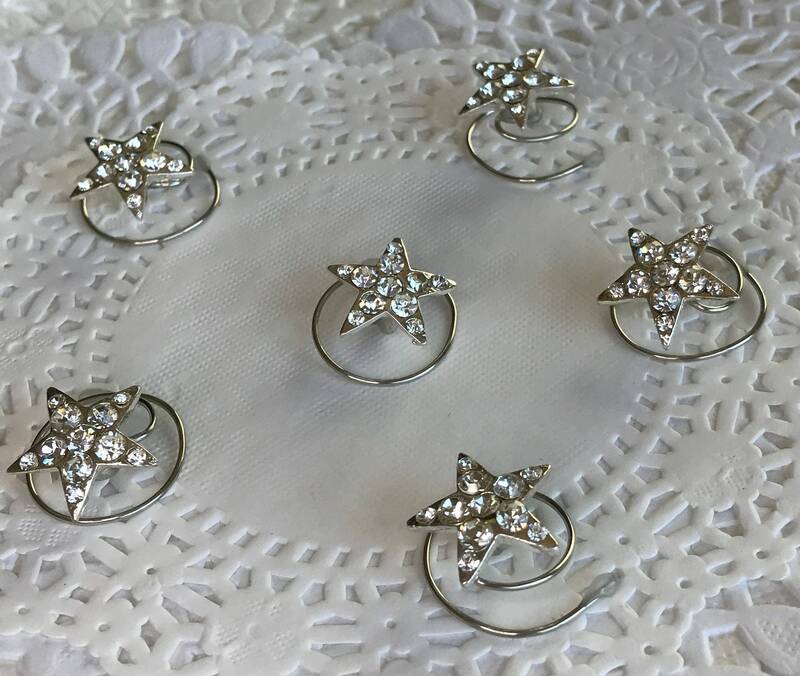 If you would like more than one set of rhinestone star hair swirls just ask and I will list them for you. 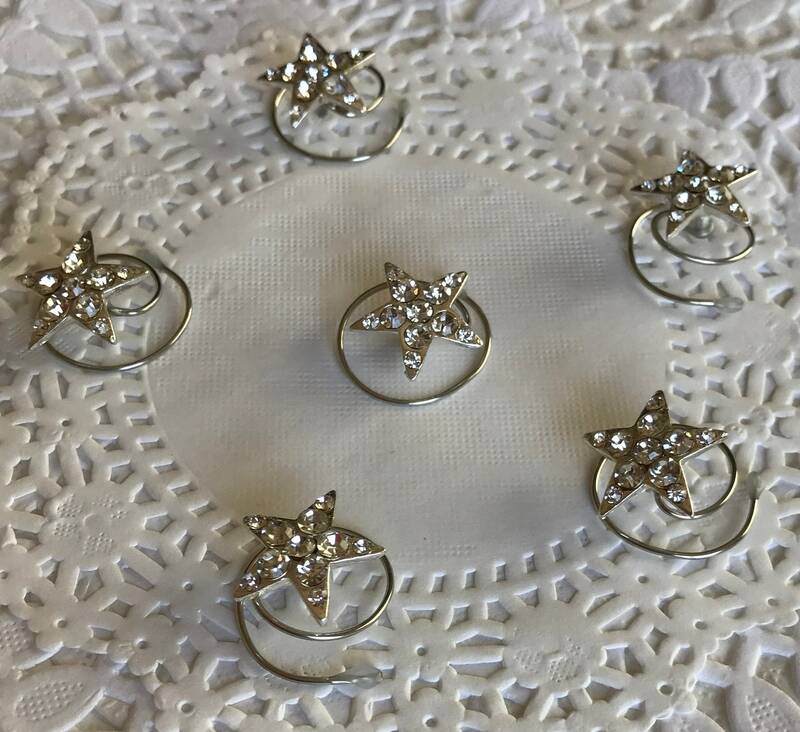 Perfect for ballroom dancers, baton twirlers, ice skaters, bridesmaids prom girls, children or teens or women who just want to add that extra sparkle to their hair.